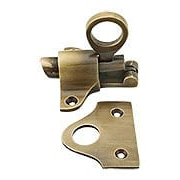 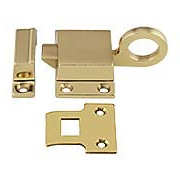 Replace an old or worn transom window latch with a reproduction solid brass transom latch. 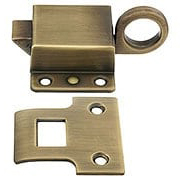 These sturdy latches are spring-loaded and come in a variety of attractive finishes. 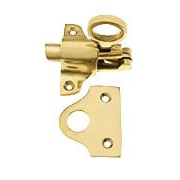 Transom latches are usually mounted at the top of transom windows and opened with a transom window latch hook.